The MSc Finance provides a unique opportunity to acquire real world investment, risk management and compliance experience through the Student Investment Advisory Service (SIAS) Fund. Student Investment Advisory Service (SIAS Fund) manages $19,000,000 CAD (as of March 22, 2019) of the university’s endowment portfolio, funded by contributions from HSBC Bank Canada and Lohn Foundation. 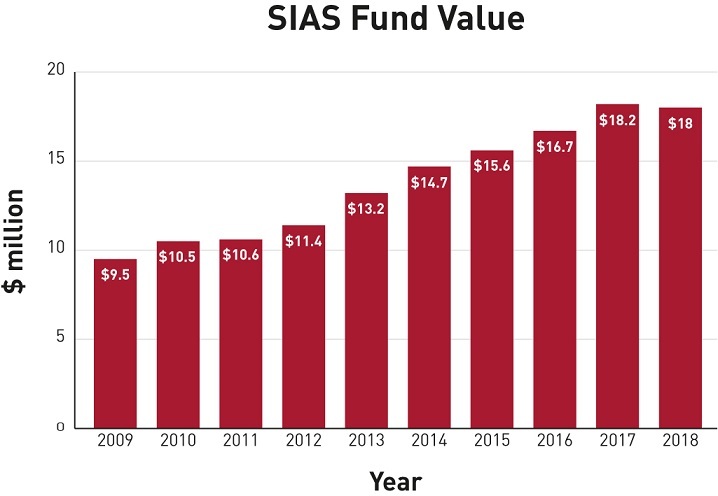 SIAS fund follows a value investing mandate set by the client (SFU) through a conservative investment policy statement. The fund is composed of four semi-actively managed asset classes: Cash, Canadian Equity, Global Equity and Fixed Income. SIAS fund reports monthly compliance and performance to the client and faculty advisors. Additionally, review presentations in front of an Industry Performance Review Committee are held on quarterly basis. Reflecting our commitment to sustainability, in 2014, Simon Fraser University became only the second university in Canada to adopt a responsible investment policy by becoming a signatory of the United Nations Principles for Responsible Investment (UN PRI). In making this move, the university committed to applying Environmental, Social and Governance (ESG) criteria to its endowment investments, including the endowments managed by our two student-managed investment funds. These ESG principles are integrated into the curriculum to help students develop these specialized skills that are increasingly in demand at professional investment firms. Learn more or contact us for more information.